Transfer your iPhone contacts between device and your computer as CSV or vCard format or export these files directly to other address books programs, like Google Contacts, Yahoo Address Book and etc, backup contacts into local machine and check out in the program anytime, restore all your contacts to iPhone from the backup file, Xilisoft iPhone Contacts Backup will always be your ideal backup and management tool for iPhone contacts information! Features: 1.Backup contact information to local machine and check out in the program anytime without connecting to the device. 2.Not afraid of phone breakdown or contacts data corruption, Xilisoft iPhone Contacts Backup can bring all your contacts data back by restoration function. 3.Export contacts to computer in format of CSV or vCard file for backup or check out on your computer. 4.Import contacts from CSV or vCard files to your iPhone to renew your contacts. 5.Export contacts data in CSV/vCard format directly to other address books like Google Contacts, Yahoo Address Outlook, Windows Address Books and etc to enrich your contacts collection. 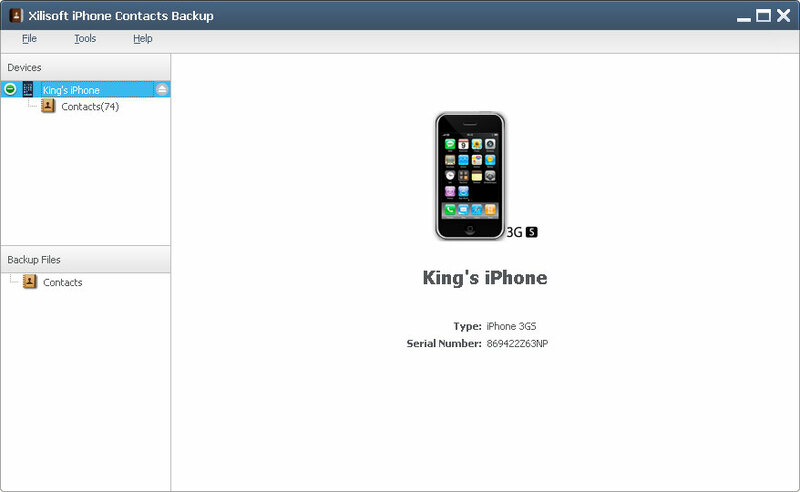 6.You are free to delete any contact information item and get sync on your iPhone immediately. 7.Sort your contacts list by different standards like Last Name or Mobile Phone Number or other categories. 8.Search tool is available to facilitate you search any contact by name, phone number or other information. 9.Display contacts detailed information in the pattern same with iPhone's to make you feel more familiar and convenient to check the information. 10.English, German, Spanish, French, Italian, Japanese, Simplified and Traditional Chinese interface languages are optional. This site does not contain serial number, crack, keygen Xilisoft iPhone Contacts Backup serial number : serial number is the simplest type of crack. A serial number(cdkey,product key,etc) is register the program as you may already know. a crack or keygen may contain harmful software. If you cannot find the exact version you want, just give it a try. for more information read .nfo/.txt/.diz file include in zipped file.